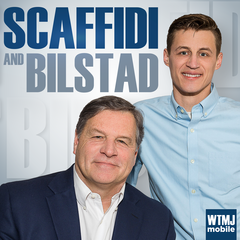 WTMJ radio’s Steve Scaffidi and Erik Bilstad invited me on their show this afternoon to talk about the new Marquette Law poll. Some take aways for me, despite the heat in the GOP budget debate, people still feel like the state is going in the right direction rather than on the wrong track. On the national scene it’s clear the GOP has a messaging problem (I’m looking at you healthcare bill.) The poll shows it hasn’t done a good job explaining the benefits of the reform long or short term. Click here to listen to the whole segment.